The waterfall roared beneath me. It didn’t seem that big. I’d rappelled off walls about a million and a half times before. Why should this time be any different? I gripped the rope in both hands, nodded at my guide, and headed down into the rushing water. The frigid cold water blasted into my face. My feet slipped off the rock in my crappy, thrift store, “rental” boots. I couldn’t see. I swallowed a ton of water. It was my first time canyoneering and I thought I was going to drown. 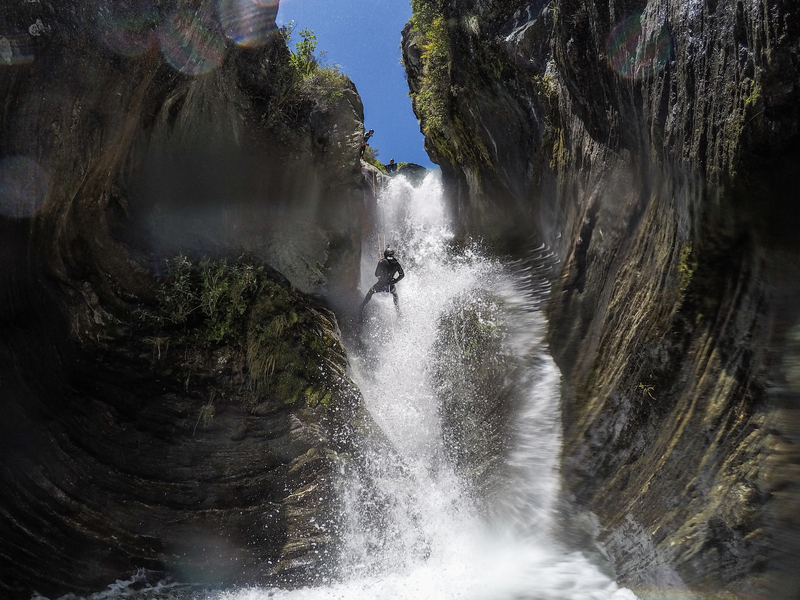 I’d never been canyoneering in my life but it seemed like an exciting to do with no plans and three days in Wanaka. I discovered that there was a guide company based out of Wanaka and I was sold.